Simulare Medical Corp. develops and integrates innovative medical training programs with its advanced, high-fidelity surgical simulators to create turnkey workshops and events where complex procedures can be learned safely and effectively. With our dedication to excellence, medical expertise and growing suite of programs and simulators, our goal is to be the global leader in enhancing surgical skills education outside of the operating room. Simulare partners with medical schools, conferences and NGOs around the world to create innovative surgical education workshops and events. Simulare’s lifelike surgical simulators enable complete end-to-end training procedures with realistic anatomical features and structures. Let Simulare create customized, anatomically-accurate training and sales aids for your educational workshops or product demonstrations. 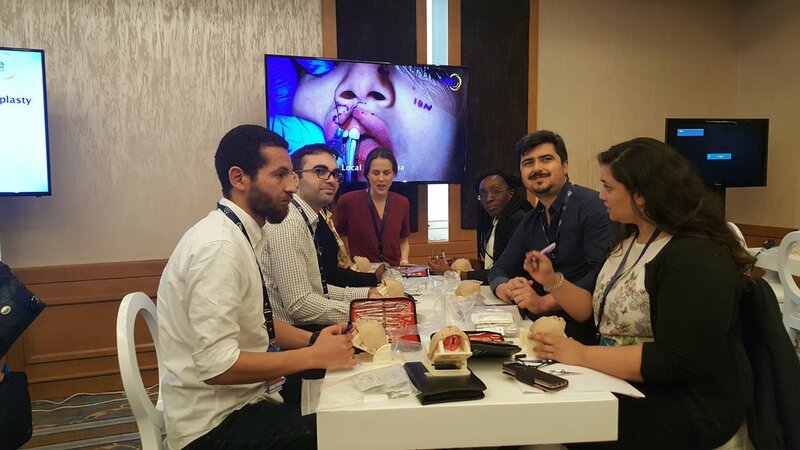 The new Simulare rhinoplasty education program with its Rhinoplasty Simulator has been developed by leading plastic surgeons to accelerate the learning curve in rhinoplasty surgical training.